Located inside the Brass Monkey, this Inception-level pub within a bar offers a hefty catalog of beers -- 95 of 'em, to be precise -- alongside top-notch edible treats like brisket sandwiches, three-cheese grilled cheeses, and sweet potato fries. 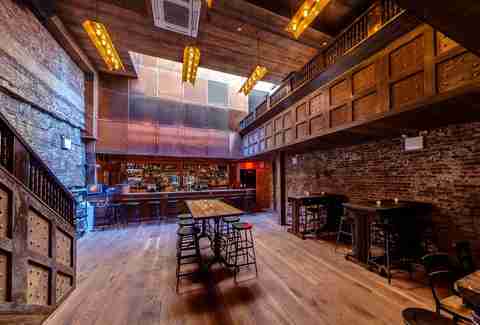 The decor's not bad either, featuring reclaimed factory parts and a mahogany bar taken from the ballroom of the old Puck building. 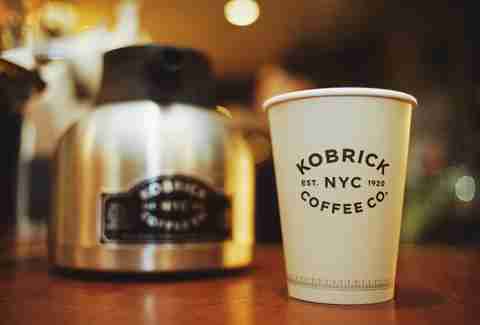 Best coffee shop: Kobrick Coffee Co. This place has a solid brunch menu (with fresh-baked pastries and avocado toast), alongside expertly roasted coffee blends you can buy by the bag. The coolest part, though, has to be the fact that once the evening rolls around, you have access to an expansive menu of cocktails ranging from the classic to the coffee-infused. 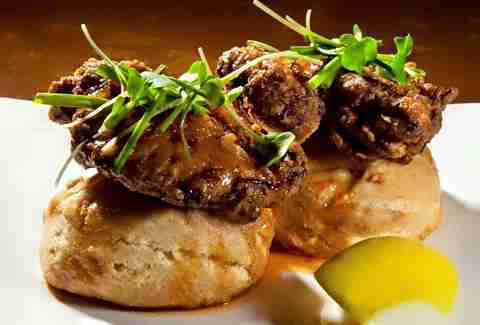 Got a hankering for some buttermilk biscuits and brisket French dip, but no time to sit down and eat it? Bubby's has you covered with an array of homemade flavors AND a takeout window, so you can score your delicious haul and get back to your exploration of the High Line -- or whatever else you're up to. You can't judge a book by its cover, but you can (and should) judge a steakhouse by whether or not it has a giant cow perched above the entrance -- as is the case with Old Homestead. 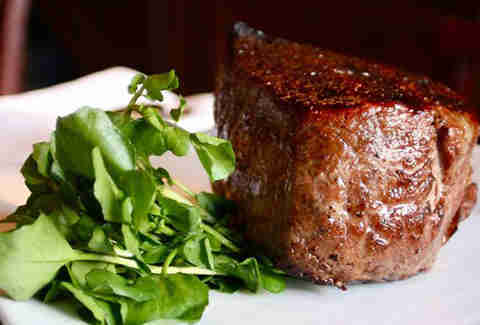 This place has been in the bovine business since 1868, and lays claim to one of the most expensive steaks in NYC: a 12oz cut of authentic Kobe beef that'll set you back a cool $350. So what if you can't make rent this month? 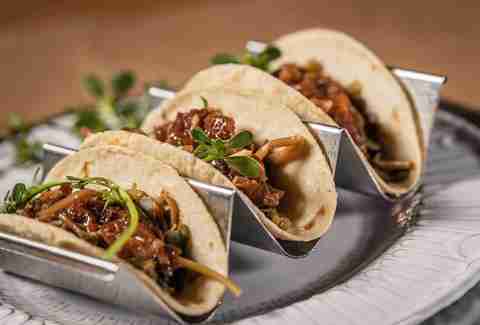 In addition to the fresh, table-side guacamole you'd expect from a modern Mexican restaurant, Dos Caminos keeps things interesting with surf & turf tacos, poblano cornbread, and chorizo mac & cheese. You'll also wanna pay close attention to that last one -- and by "pay close attention to," we mean "eat as much as possible of." We've raved about Scarpetta's classic spaghetti and tomato sauce dish before, but truthfully, you really can't go wrong with any of the pastas at this swanky, modern Italian joint. 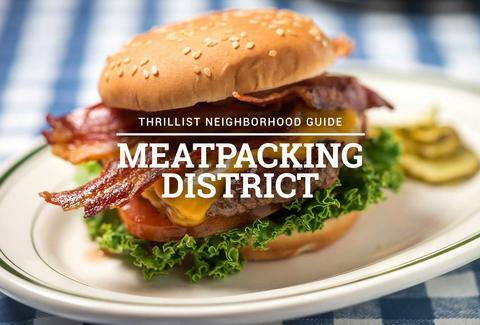 So what if it's technically just over the Meatpacking District border? Try the foie gras ravioli or the short rib & bone marrow agnolotti, and you'll forget all about the extra 50ft you walked to get here. This place gets its inspiration from Southeast Asian street food, employing classic elements like peanut sauce and mango chutney alongside American dishes (like the crispy chicken biscuit and Gruyere cheese omelet). Pro tip: if you're not getting the Ovaltine kulfi for dessert, you're doing it wrong. If the idea of eating coastal Italian fare off colorful plates in a tropical-themed restaurant doesn't get your jaded NYC motor running, then a single bite of the squash carpaccio definitely will. If that doesn't work, try the grapefruit Italian ice for dessert. If that doesn't work, you should probably get your motor checked because it sounds like it's broken. It doesn't get much more classic than American cheese and bacon on a beef patty, bookended by a sesame seed bun, and that's exactly what you'll get at Bill's: a simple burger, done exactly right. 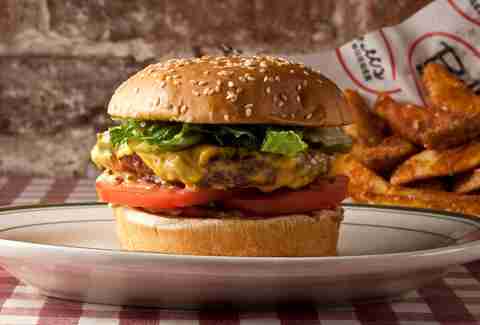 The 6oz patty's made from a "custom blend" of meat, ground fresh each day, but beyond that there's not much more to say. Get it. Eat it. Repeat.